Gorgeous panoramic views from this hilltop cul de sac .43 acre lot located in the Lakes Above Rancho Santa Fe. Enjoy entertaining in the resort like backyard w pool/spa, CA room & outdoor kitchen. This home is perfect for multi-generation families w a private casita & kitchenette. Highly desirable upgraded & open floorplan includes a downstairs master suite, huge great room, bonus loft, 3 bedrooms upstairs & formal dining. Wonderful central location w easy access to all San Diego has to offer! Solar owned, Beautifully designed and decorated, this stunning semi-custom estate is perfect for entertaining family and friends. From the private and spacious inviting courtyard to the welcoming open floor plan & the resort like backyard, this unique home is sure to please! 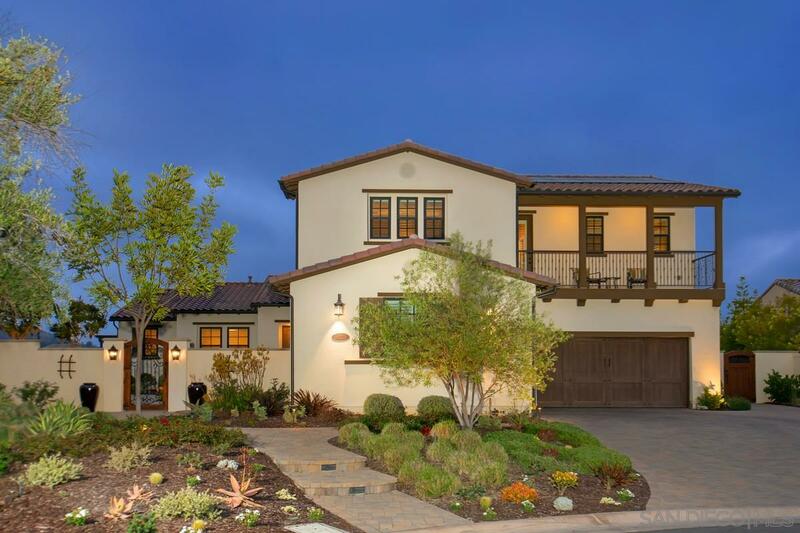 This stunning home is located on a private hilltop cul-de-sac with panoramic mountain views. The resort-like backyard features a sparkling saltwater pebbletec pool and spa, California room with cozy fireplace, outdoor kitchen and multiple, beautifully landscaped, entertaining areas. Energy efficient with owned solar panels, high efficiency HVAC, dual pane windows, 2 tankless water heaters. Spacious 4 car tandem garage, large expanded paver driveway and professional landscaping. Close to shopping, restaurants, schools and recreation and a part of the PUSD currently including Del Norte HS, Oak Valley MS, Del Sur Elementary w/option for Design 39 school. Please see attached document for complete list of features!